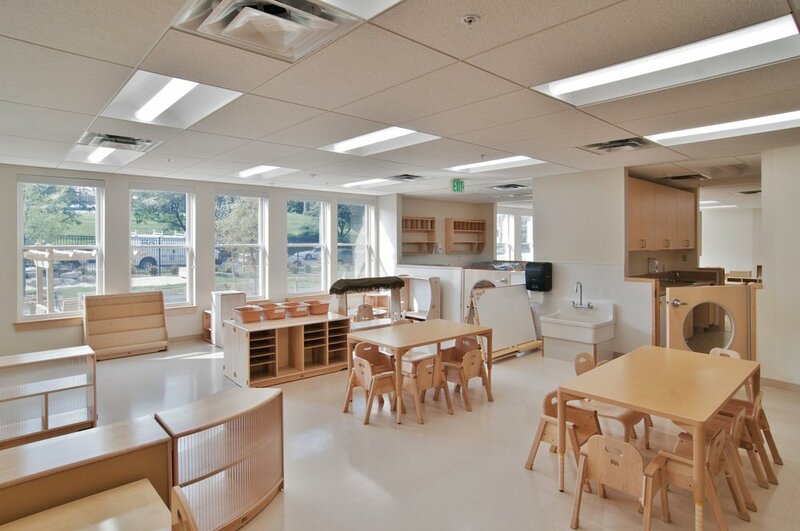 Johns Hopkins University retained DWAAA to design a temporary children’s center for their Homewood Campus. A campus master plan calls for a permanent facility in the coming decades, so this facility will address their growing early education needs for some years into the future. 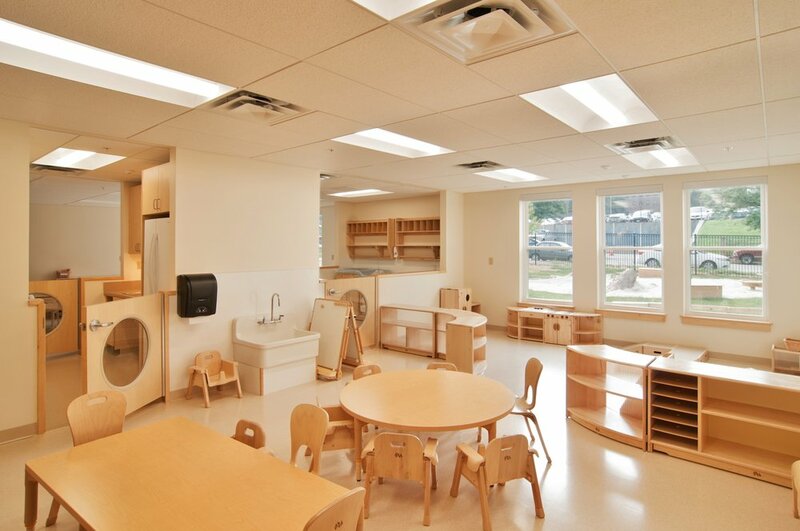 The modular building was fabricated off-site and trucked to the newly redeveloped site. The site is generous and the outdoor play spaces take advantage of both rolling topography and mature shade trees.